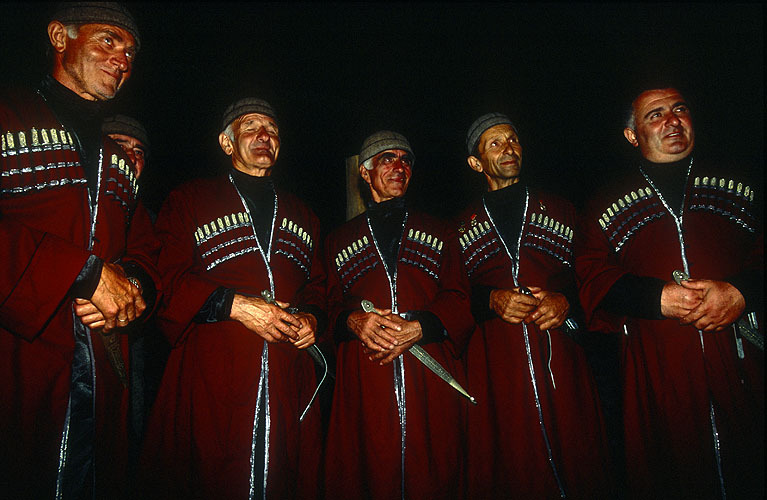 A group of men singing ancient, traditional songs in one of the fortified houses. Many of their songs date back to the pre-Christian, pagan era. They are sung polyphonically, producing and effect so beautiful, powerful and moving that this photographer was reduced to tears.